Having already started mailing out to US purchasers, this has finally come in the post: which means it's going to be in the UK bookshops soon. In fact, I hear it's already in copious supply in Ballymena Waterstones for some reason. You're going to enjoy this. I was struck by something while writing it. I have an historical interest in apostasy, and in liberal imperialist ideology. I think Hitchens is a case study in both of these phenomena: the ex-communist and the just warrior blended in one red-eyed, cynical and morose persona. But there was also something particularly conjunctural about his role. In his last years, Hitchens sold more books than he ever had, did more television than ever before, and was remunerated more handsomely than he had ever imagined. He acquired legions of young, usually male fans thrilled by his 'Hitchslaps', a youtube mainstay. Among his acolytes, it now appears, are those running the British Humanist Association, who tried to erect a statue of him in Red Lion Square. Quite what era the statue would be modelled on is anyone's guess. The benedictions on his death came from pundits and politicians, novelists and friends. He is the only author I am aware of who went to his grave with the praise of both Bush and Blair. For those who value such things, and Hitchens was one, it doesn't get better than that. 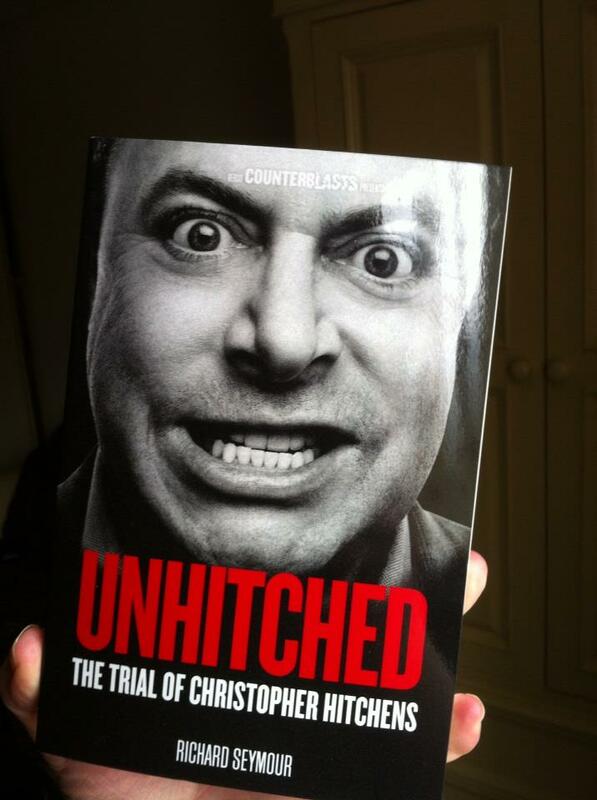 Far from being a cautionary tale, this is a success story: if you want to make it, follow Hitchens. Yet, of course, this shower of money, fame and accolades largely coincided with his serious degeneration as a writer and intellectual. Just as he was being celebrated for novelty and originality, he ceased to say anything that wasn't utterly conventional and bourgeois. He was admired for his forthrightness and independence of thought just as he had become an outright propagandist for the Bush administration and some of its most discredited figures. He cut the figure of some sort of dissident, despite his vitriolic attacks on the radical left of all persuasions. He was thought eloquent and witty, just as he was becoming boorish, sexist, racist and sentimental. I thought this was, culturally and politically, very significant. Especially so given the variety of debates - about war, humanitarian intervention, religion, neoconservatism, nationalism, identity, Orwell, socialism, the United States, and so on - that tend to be channelled through the ungainly carriage of Christopher Hitchens. In his story was condensed some of the most rebarbative ideological features of the period bracketed by 9/11 and the Middle East revolutions. Of course, the debates about the meaning of Hitchens's work in this period have been dominated by his sycophants and friends, and not for the better. Apart from anything else, this means they are laden with cliches and myths of Hitchens's own making. Inevitably, then, part of what I was doing was arming those of a more critical and discriminating inclination with the means to get involved in those debates on an informed basis. So this is a study in - what? - decay? The degeneration of a belle-lettrist? The progress of a Trotskyist to seemingly inevitable neoconservative reaction? The apostasy of a well-known apostate-baiter? The lifelong claims of imperialist ideology on an ex-pat Brit from a military town, and a military family? A social climber's habit of detonating significant friendships - who would exchange Edward Said and Noam Chomsky for Ahmed Chalabi and Paul Wolfowitz? - just as he makes unnerving political shifts? The predictably unpredictable opinions of a received-opinion-former? The residues of Thatcherite instinct in a middle class careerist? The English declinations of an American patriot? The self-contradictions, distortions and revisionism of an author who began as a revolutionary journalist and ended as a propagandist for crooks? An 'anti-theist' who, though a tireless hammer of Muslims, was actually soft on religion, soft on the causes of religion? All of the above, leavened with plenty of enlightening and frankly entertaining background from his old friends and comrades. That was a sales pitch.